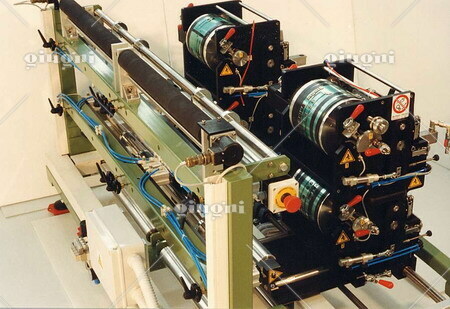 Operating speed up to 70 meters per minute. 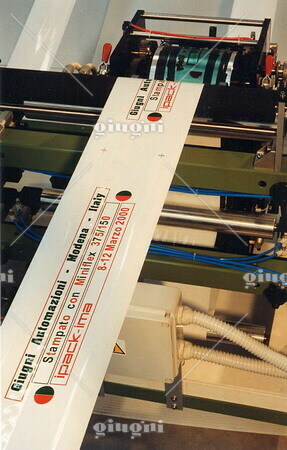 Notes: two colours printing. 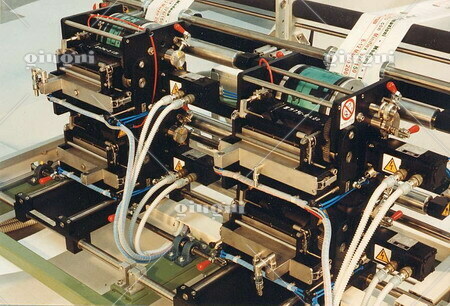 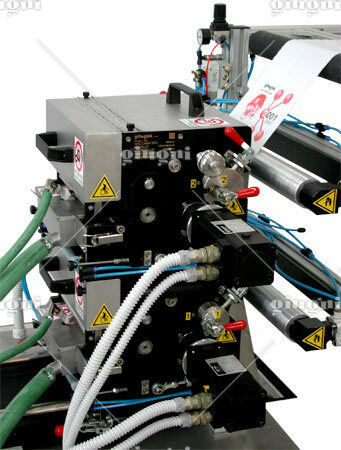 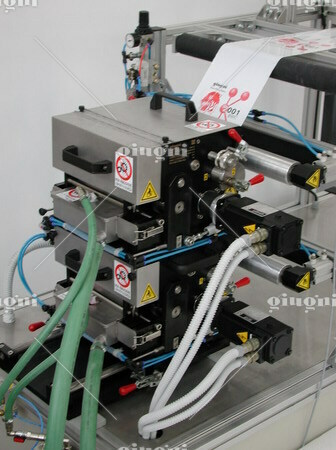 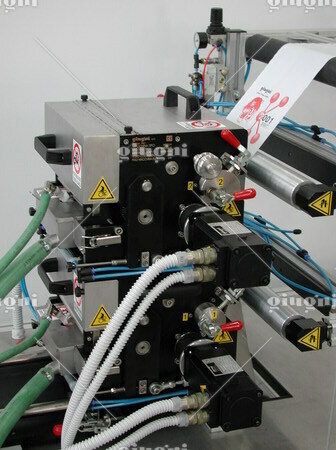 Miniflex 375 consists of two separate and independent printing units. 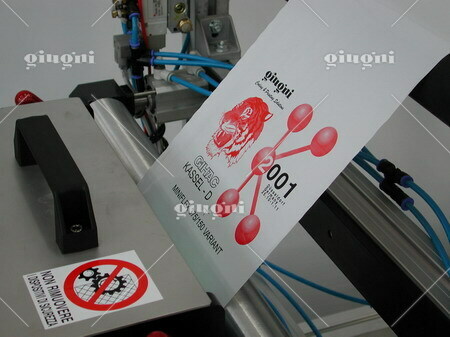 In this way, it is possible to print in a single colour or in two colours. 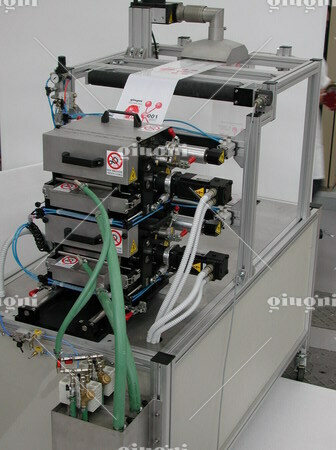 Each unit has its own precision electronic drive with an encoder for film speed measurement. 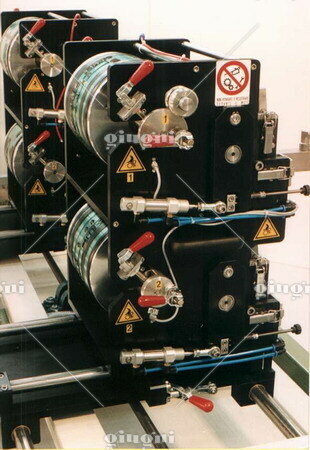 Longitudinal register is electronic, transversal register mechanical. 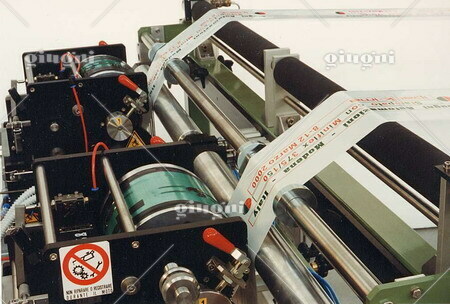 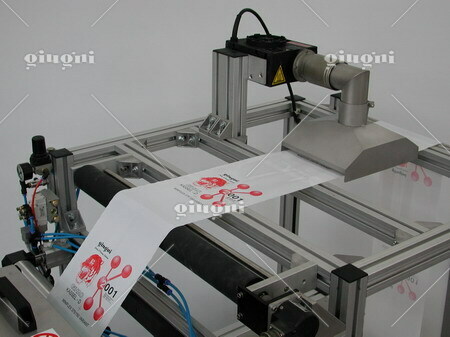 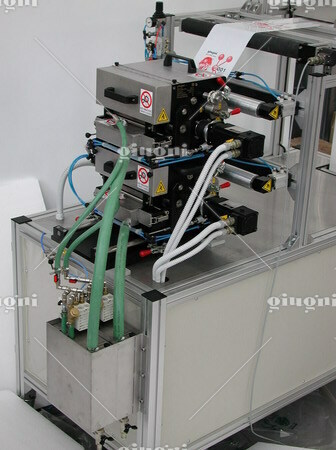 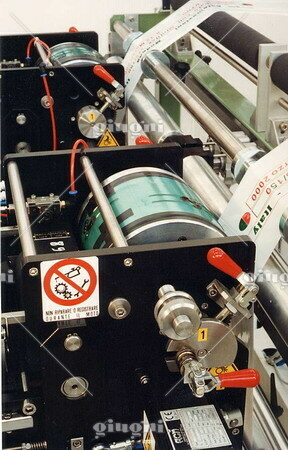 The machine can be moved by hand along guides to facilitate the removal of the printing cylinders. 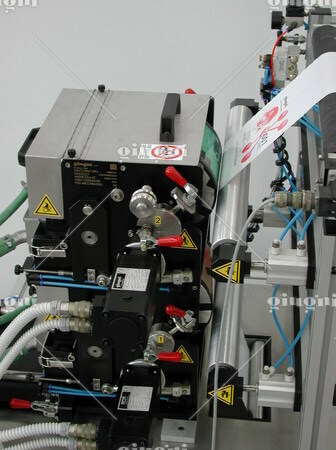 The two cylinders are easy to be disassembled and to carry by hand to make easier the clichés replacement. 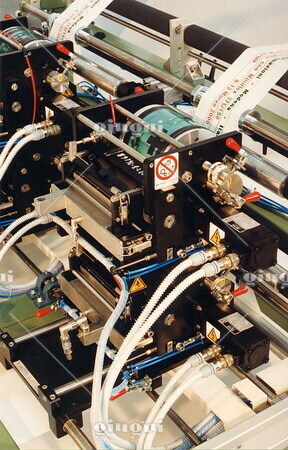 Flexographic inking with laser engraved ceramic roller (anilox) and negative doctor blade kept in pressure by a micro-cylinder. 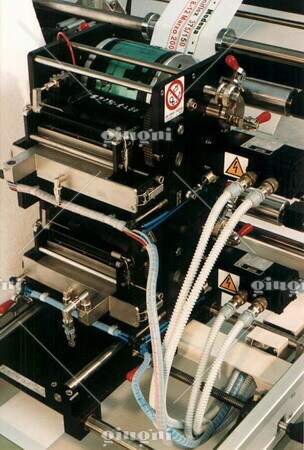 Approximate dimensions 1050 x 1100 x H. 885 mm. 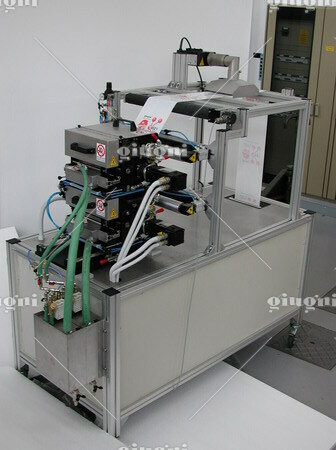 Approximate weight 95 kg.